The kaftan we know and love makes a stylish appearance in this cruise inspired piece by Beige Label. 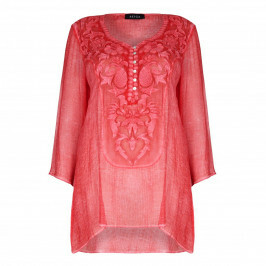 Stunning with beautiful embroidery, this georgette kaftan is all you need to nail that relaxed and effortless look. Ideal for layering on top of a bathing suit, with or without sandals. Embroidered kaftan. 100% Viscose.Hand Wash. Do Not Dry Clean.